It is important not to forget about the power house of your vehicle! 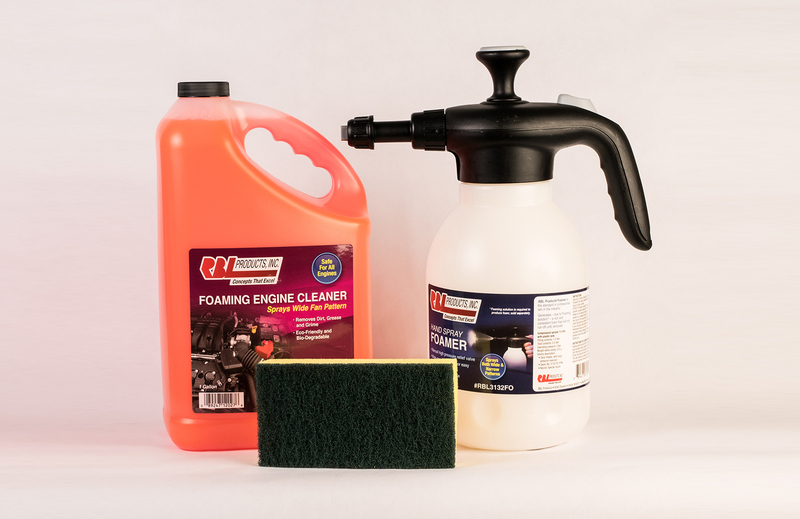 Our Detail Engine Cleaner Kit our Foaming Sprayer, 1 gallon of Detail Engine Cleaner, and our mighty Scuff Sponge. When paired together, even the toughest engine grime does not stand a chance. Whether its your weekend show car or your daily driver, our Detail Engine Kit is there to keep it purring happily.